What are DVD region codes? How to create region free DVD copies? Movie studios use DVD region codes as a kind of digital rights management technique to control which region in the world the DVDs they release can be played. A movie DVD with no region code or other forms of protection can be used without limit and movie studios choose to put the DVD region codes into effect so that they can have control over the distribution of their DVD releases. The world is divided into different zones to correspond to the distribution system of the movie studios’. Assuming that you have a disc from region 1 and a DVD player from region 2, both have region codes on them. You won’t be able to play the region 1 DVD on your region 2 DVD player as they are not compatible with each other due to the different DVD region codes on them. The DVD region code could cause playback problems of certain DVD discs. If you do have a DVD player locked to a specific region and a bunch of DVDs with different region codes on them, you might encounter playback problems a lot. There are different solutions to this kind of disc playback problem due to DVD region codes. The first and easiest solution to the problem is getting a region free DVD player. What does region free mean? A region-free DVD player is able to play DVDs of all regions. If you have one region-free DVD player, then you won’t have to worry about the region codes on your DVD discs causing playback problems. Blu-ray also has its own coding system which is similar DVD’s. Here’s more Blu-ray region codes information for your reference. Another solution to the region code issue is to make a region-free DVD copy of your region-locked DVD discs. Just like how a region-free DVD player can play DVDs of all regions, a region-free DVD disc can be play on any DVD players regardless of the region codes they are encoded with. If you don’t have much DVDs you can’t play, this is also an effective solution to the playback problem. It’s obviously cheaper than buying a new DVD player. Plus, you can think of it as making a backup of the DVDs you like. To make your DVD region-free, there are a few things you need. 1. 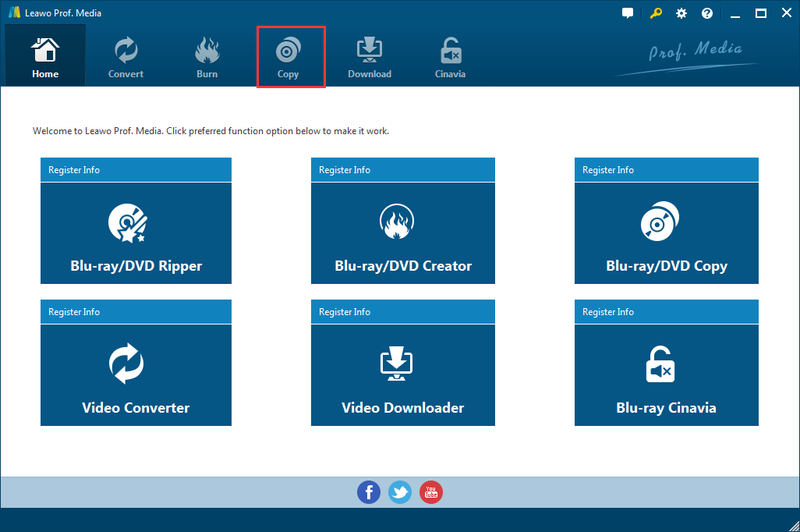 A suitable piece of DVD copy software that’s capable of helping you create region-free copies. 2. A blank, writable DVD disc for making the copy. 3. One or two DVD drives. Depending on how you want to make the region-free DVD copy, you can use either one or two DVD drives to make a backup. And in both cases, a DVD drive capable of burning discs is required. The program I’ll be using to make the region-free DVD copy is called Leawo DVD Copy. Not only is it able to perform 1:1 lossless DVD copying, it can also help you compress DVD-9 to DVD-5 if you need. And you can make the copy with one or two DVD drives. The program provides different means for making a region-free DVD copy. You can copy the DVD folder to your hard drive. There’s an option for you to convert the DVD content to an ISO image and save to your hard drive. Also, when you have two DVD drives available, you can directly copy the disc to another disc in the program. And the region code will be removed automatically during the copying process. Below is a detailed guide to walk you through the region-free DVD copying process. Open Prof.Media, it’s the software suite that Leawo DVD Copy is in. You should be able to find the DVD Copy button after getting into the program’s main interface. To launch DVD Copy, simply click on the button. Put the DVD disc in your DVD drive in advance so you can directly import the data of the disc to the program directly in this step. There’s a specific button for you to load the DVD data. Click Add Blu-ray/DVD to display a drop-down menu, and then choose Add from CD-ROM. When a new option appears, click on it to let the program load the source data in the disc to DVD Copy. If you prefer the drop-n-drop approach, you can also open the DVD folder in a file explorer window and drag the folder to the program interface to import source disc content. The following interface is divided into several different parts. The left column includes the video title list, audio track list, subtitles list, 3 copy mode buttons and a disc format button. And there’s the video player taking up most of the space. You can play a video from the video title list on the left with the video player. So it can kind of work as a DVD player. You can even pick different audio tracks and subtitles for the playback. The most important thing to do in this step is to select a copy mode. What the copy modes do is to help you quickly choose what content in the disc to keep in the copy. Full Movie keeps all the data of the disc. Main Movie only keeps the main movie, one audio track and one set of subtitles in the copy. Custom Mode, without a doubt, is provided for you to select the content you need by yourself. There’s also the Disc Format button in the bottom left corner of the left column. Click on it to display a drop-down menu with all the supported DVD formats on it. If the original disc is DVD-9 and you want to make a 1:1 copy, you can choose DVD-9. You can also choose DVD-5 to compress DVD-9 to DVD-5 if needed. On top of the video player you would find a Copy button in green. Click on it to see more options. On top of the sidebar that follows, you can see 3 different options. Choose Folder to copy the DVD folder to your hard drive. Check ISO file to include the DVD data in an ISO image and store it in your hard drive. The third option is a drop-down menu of all the disc drives connected to your computer. If you have two drives, you can put a blank disc in another drive and directly copy the original disc to the blank disc by choosing the blank disc as the target on the drop-down menu. 4.1. 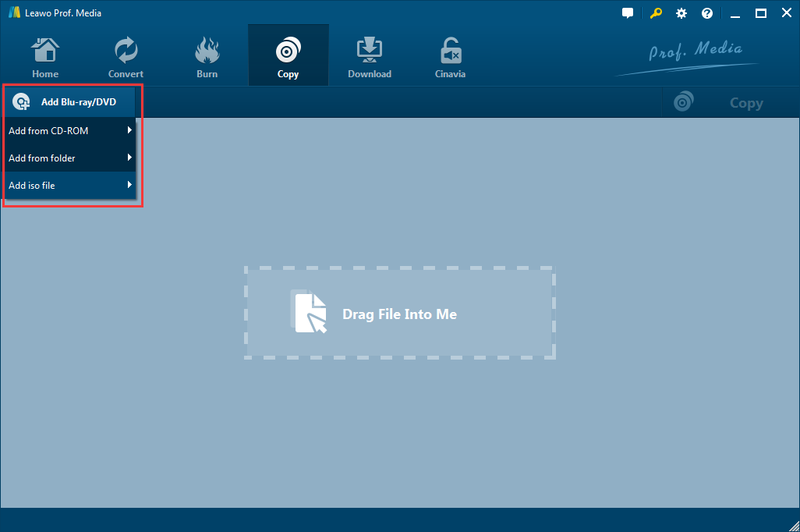 When you choose to save the copy to your computer first, you can choose Folder or ISO file and set the default output directory for the copy in the box below Save to. And then click the Copy button below to start copying the disc to your hard drive. The copy saved to your computer will be with no region codes. 4.2. If you have an extra DVD burner and a blank disc, connect the DVD burner to your computer and put the disc in it. And then you can check the third option and select the blank disc as the target of the backup from the drop-down menu. Click Copy to start copying the original disc to the blank disc. Note that the program can burn the DVD folder and the ISO file it creates to a blank disc and that’s how you can create an exact copy of your DVD discs using one DVD drive. 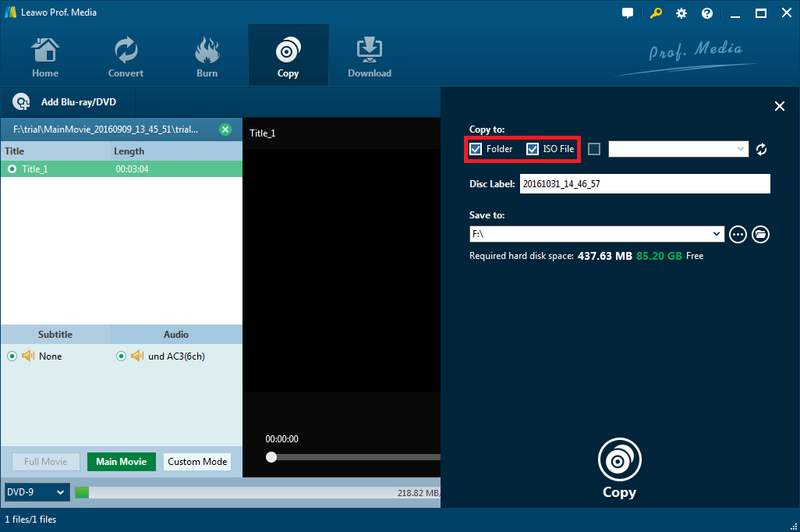 Just import the DVD folder or the ISO file to the program and repeat the above steps to burn the copy to a blank disc. It’s a great alternative to getting a region-free DVD player when you have just a few region-lock DVDs that are not compatible with your DVD player. But if the number of the incompatible discs is too large, getting a new region-free DVD player might not be such a bad idea. Here’s a video tutorial of Leawo DVD Copy to help you master the program faster. Below are 3 region-free DVD players you can buy directly from Amazon. If you are considering getting one, check out the recommended 3 below and see if they suit you. 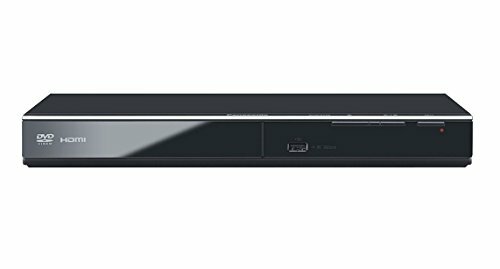 The Panasonic DVD-S700EP-K is a high-quality region-free DVD player. It’s dust proof, which is a nice bonus as the DVD lens can be compromised by dust and it’ll help preventing that from happening. The biggest selling point is its support for 1080p up-conversion, which helps you upscale the DVD to near Blu-ray HD resolution for playback. The LG DP132H is a powerful region-free DVD player. Other than playing DVDs of all regions, it can also extract audio tracks from CDs and put them in a USB storage device. And it also supports 1080p upscaling to help you enjoy the DVD movie in 1080p resolution. 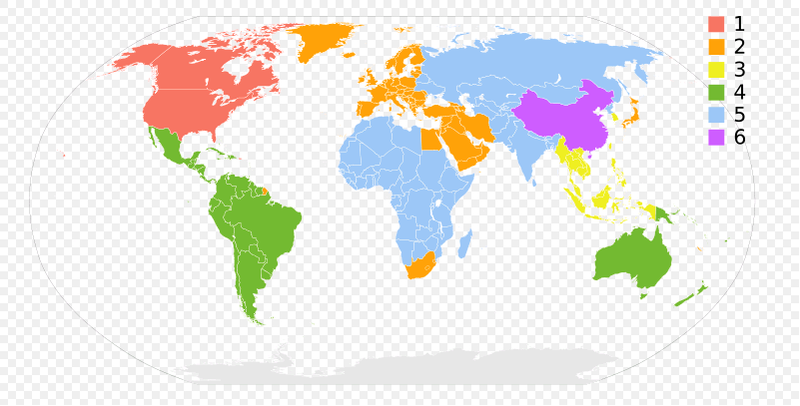 If you buy DVDs on the Internet from all over the world, then a region-free DVD player would be ideal. But if you are used to getting DVDs from the local store or native sellers, then a DVD player locked to your region would be fine.